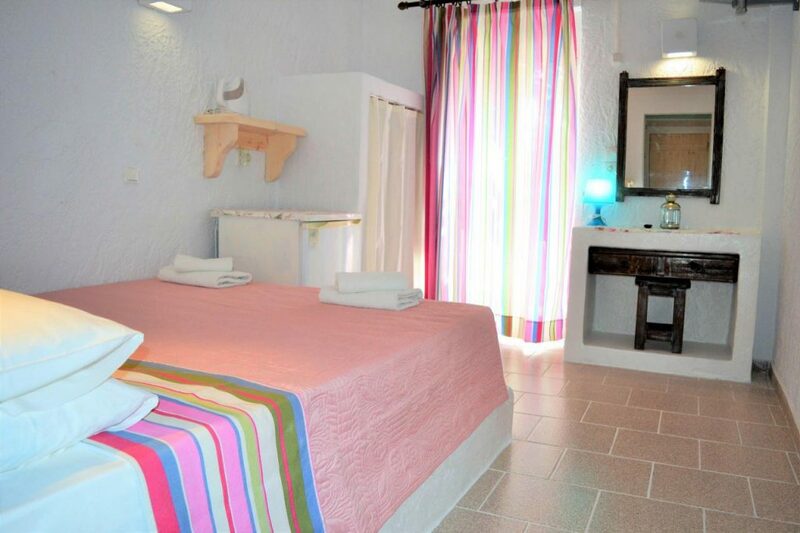 Weekly rates for Irini Hotel start from £ 385 total, depending on selected dates. 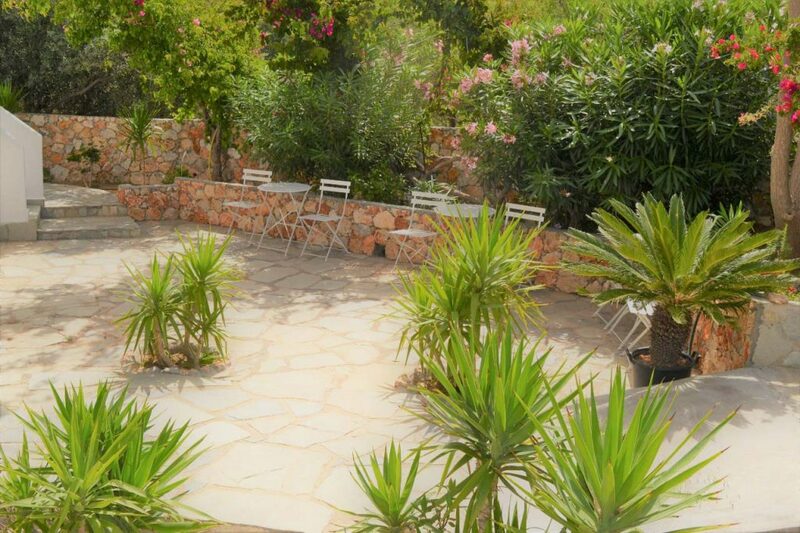 This quiet and charming family-run hotel has just 23 rooms and is surrounded by fabulous, luxuriant gardens with roses, hibiscus and banana trees (yes, banana trees!). 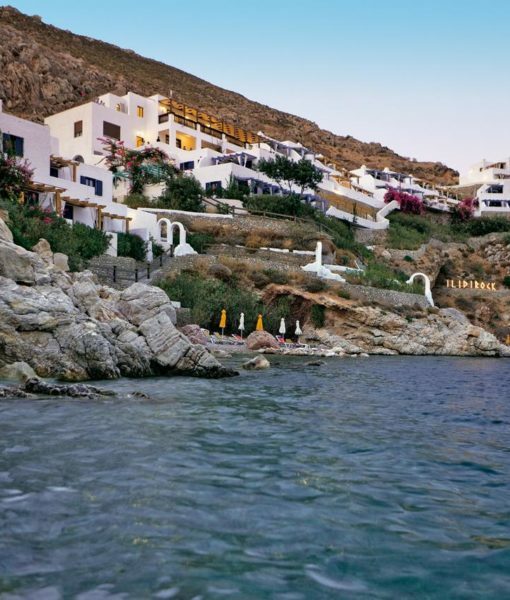 Everything about the hotel is spotless and the owners, Ilias and all of his family could not be more helpful. 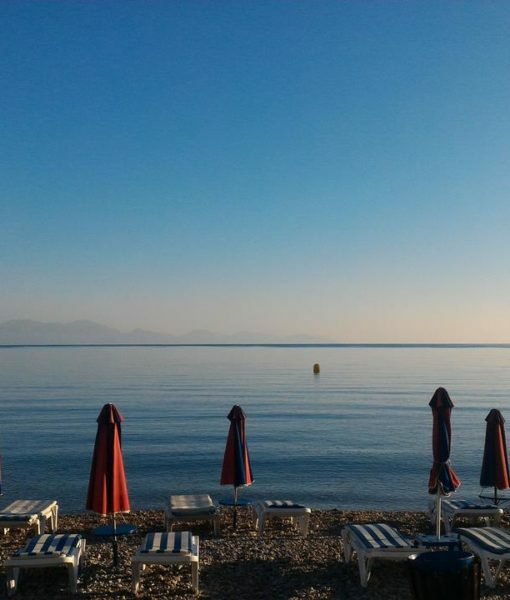 Hotel Irini was fully renovated for the 2017 season! 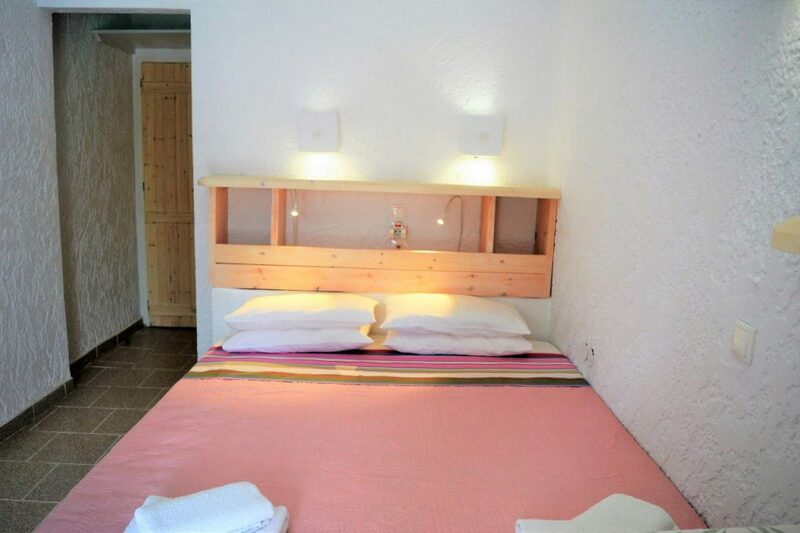 Rooms are available with either twin or double beds and all have en-suite bathrooms. The rooms are simple but well equipped with fridge, electric kettle, hairdryer and direct dial telephone. To keep you cool, there are ceiling fans in all of our rooms as well as air-conditioning. 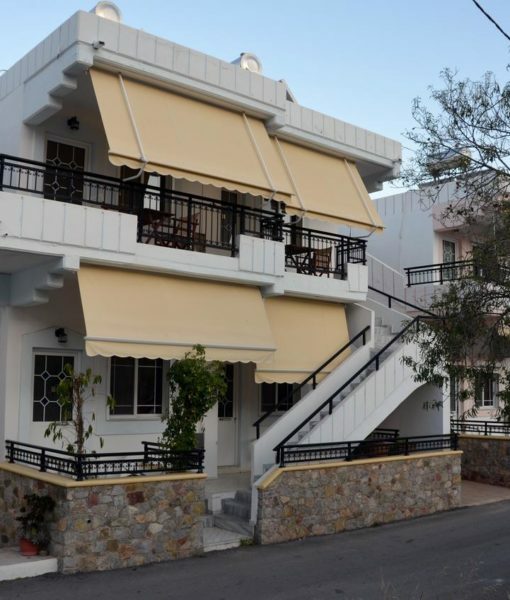 All rooms have French windows leading out onto your own private balcony or veranda, some with views towards the sea. 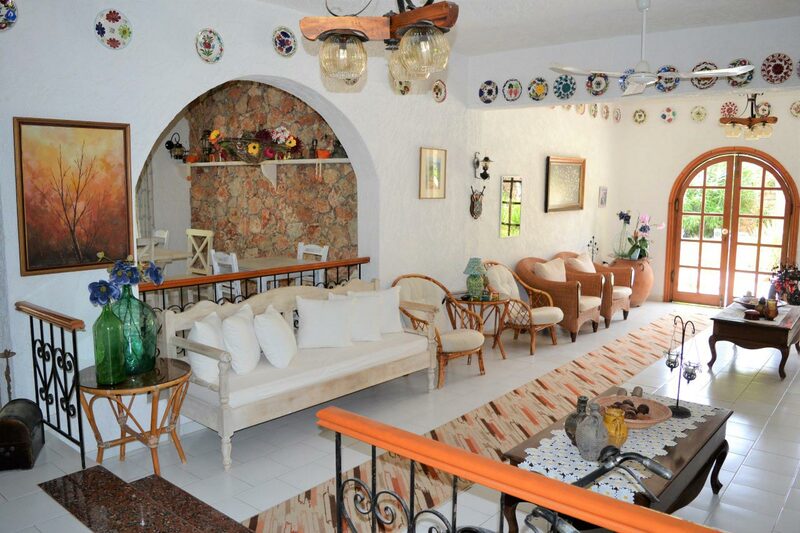 Breakfast is served in the charming downstairs breakfast room or on one of the open air garden terraces. The breakfasts change each day and are excellent – you can also enjoy unlimited tea or coffee here. The public areas all feel like home from home. There is a small library of books to exchange and a very comfortable lounge area. Satellite TV is also available. The lovely uncrowded pool is crystal clear, set in a large paved sunbathing area, surrounded by flowers and palm trees. 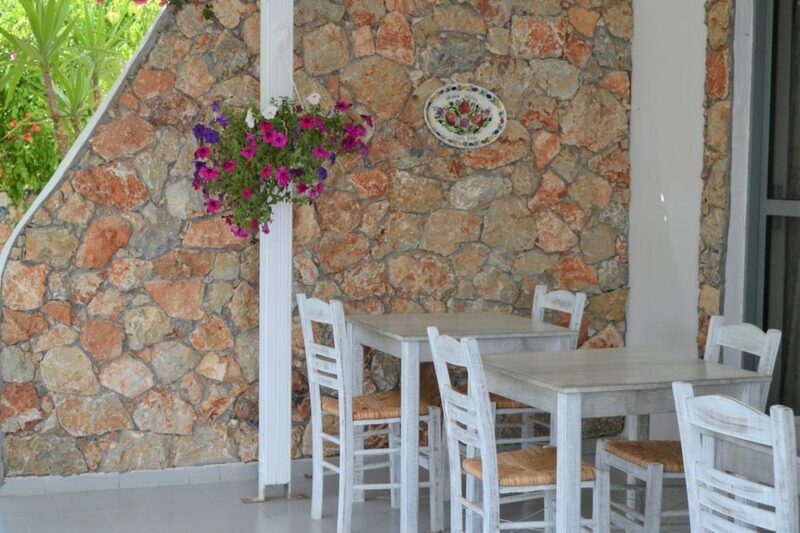 Delightfully situated, great value accommodation in Tilos. Perfect for that away from it all holiday.